Freedom of expression continues to be under threat in South Asia. 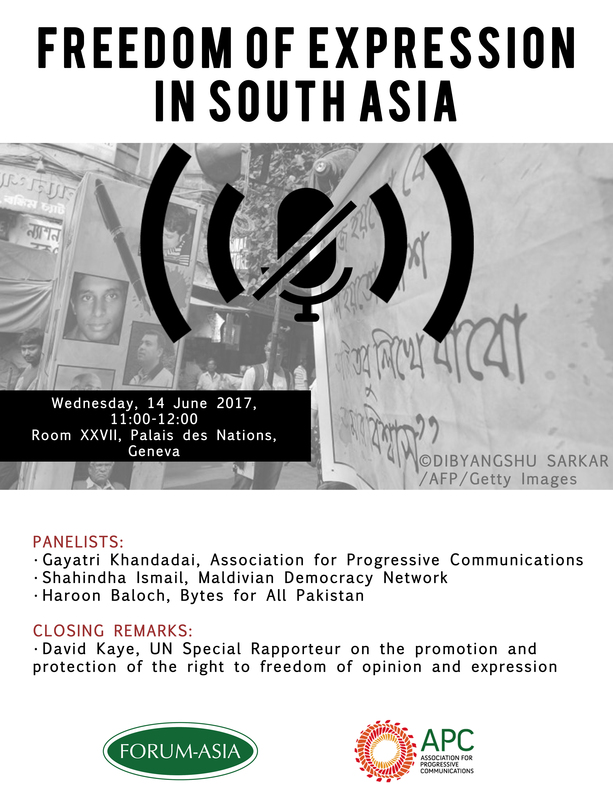 Restrictive legislation, criminal defamation, abduction, digital surveillance, killings and threats from rising extremism are some of the trends that plagued have freedom of expression in South Asia. The side event will explore some of these trends with prominent civil society actors from India, The Maldives and Pakistan. 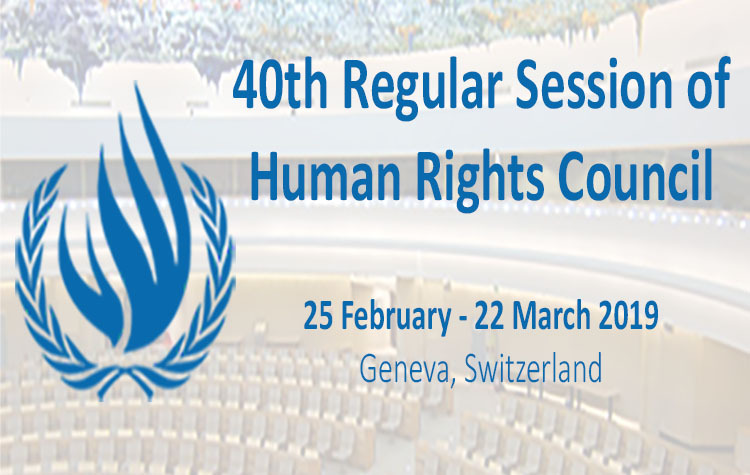 These experts will give discuss the situation of freedom of opinion and expression in the region alongside the UN Special Rapporteur on the promotion and protection of the right to freedom of opinion and expression.